When Paul Benner moved back to his hometown of Cleveland a few years ago to open a homebrew supply store, he found himself having the same conversation with many of his customers. “I’d meet guys who were obsessed, and they’d all say, ‘If I could just quit my job and make money this way, I would,’” he recalls. But these homebrewers couldn’t quit their jobs, no matter how many medals they’d racked up at contests. That’s because starting a brewery is a laborious process that requires time, money and expertise. While a weekend homebrewer can make a basement batch for $40, a 10-barrel brewing system starts in the six figures. Kyle Roth of Ferndock Brewing and Paul Benner of Platform Beer Co. So he teamed up with Justin Carson, an entrepreneur who owns a soda and draft beer line-cleaning company, to launch one of the country’s first brewery incubators. The new brewery and taproom, which is called Platform Beer Co. because it provides a kind of launchpad for breweries, is located inside of an old Czech social hall in the Ohio City neighborhood. It offers a 12-week program that provides homebrewers with the rare chance to hone their craft on professional equipment with expert help. 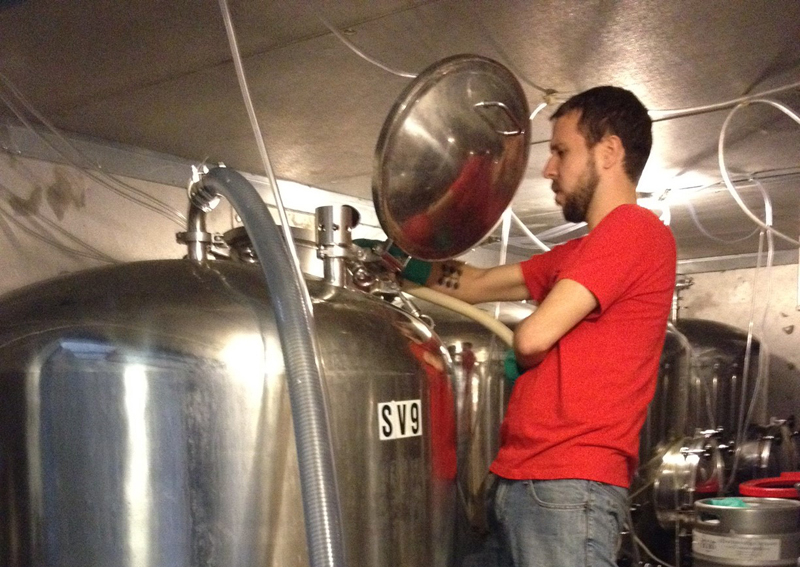 Last fall, Platform announced its first participant, Kyle Roth of Ferndock Brewing. Roth worked under brewmaster Shaun Yasaki to test his recipes, learn the trade and assemble a business plan. 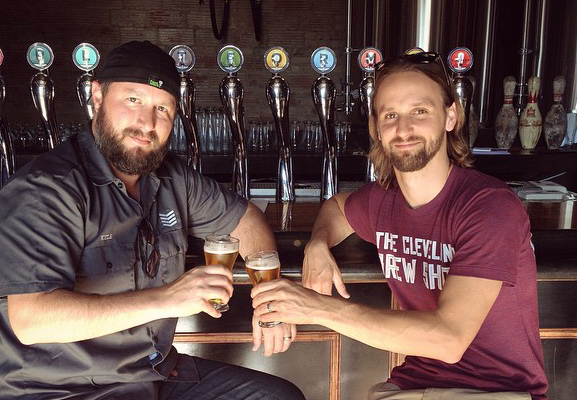 Now Roth is moving back home to Sandusky, OH, to open a brewpub. He met his investor, an experienced restaurateur, through Platform. There are plenty of homebrewers like Roth, of course, who’d love to quit their day jobs and brew for a living. Yet despite the fact that new breweries seem to be opening every day, there are only a handful of educational programs around the country that train people to become professional brewers. At the same time, many breweries won’t hire people without experience, making it hard for newbies to get a foothold in the industry. Enter the brewery incubator, which some in the industry see as a way to help homebrewers develop experience and ultimately launch their own breweries. Although brewery incubators are a new trend, a number of them are now in the works around the country. Currently, there are incubators being planned in Chicago, San Francisco and Rocky Mount, NC, among other cities. For brewers, the incubator model offers the chance to work with young, up-and-coming talent and develop and feature new beer recipes; participants get a coveted shot at the big leagues. The owners of Skeleton Key Brewery, set to open next year in Chicago’s western suburbs, chose to launch an incubator to help others avoid the challenges they faced trying to break into the craft beer industry. “We wanted to help homebrewers achieve their dream the way we were achieving ours,” says co-founder Emily Slayton. To identify top talent, Skeleton Key will put out a call for homebrewers to participate in an on-site competition followed by market testing of their recipes. Select beers will be served at a public “Battle of the Brews” in the taproom, and customers will rate their favorites. The applicant with the best-selling beer will be offered a position as a paid intern, receiving guidance on aspects such as regulations, marketing and licensing. While every incubator works a little differently, they all share a common desire to help new breweries get off the ground. The Incubator Brewery in Spokane, WA, which will open in 2015, will allow five fledgling brewers the chance to work on a seven-barrel system. For the privilege, they’ll pay an entry fee and lease space from developer RenCorp Realty, which owns the equipment. Already, two breweries have signed up and will begin serving up their beers in an adjacent taproom sometime this spring. Another new incubator, Citizen Fox in San Francisco, will provide 10-month paid internships for would-be brewers. Master Cicerone Rich Higgins decided to lead the effort because he identifies with young people trying to get in the industry. The program will offer an alternative to professional beer schools, he says, which are expensive. “By the time they leave, they’ll have a great education, experience and network,” says Higgins. The brewery incubator model comes with its own headaches, of course. It takes time, energy and resources to train people who will leave after a short time, taking with them all the knowledge they’ve gained. Yet incubator devotees say the price is worth it, and they’re not worried about competition in an industry with plenty of room to grow. Lee Chilcote is a writer and editor based in Cleveland. When he’s not checking out the new breweries opening in his city, he works as managing editor of Fresh Water Cleveland and editorial director for Issue Media Group. Thats a wonderful concept, I would love to get involved in that. I’m working on opening a microbrewery, myself. Thanks for the great write-up Lee. Cheers to all of us as we make our way into the professional brewing world. Hope to meet some of you soon! Are there any incubators in Colorado Springs, CO? You might be interested in this, Robby: http://www.coloradoboy.com/brewery/immersion ; CB partners with Echo Brewing for the program, which probably only an hour and half from you. We did it awhile back and learned a lot from the Richards brothers in a very short time. It’s a chunk of change, but they provide ongoing support, too. We are not in CO Springs, but I operate a collective brewery in Denver. We currently work with 6 breweries-in-planning. Check us out if you’re ever up in our area! It would be nice if Atlanta got more involved in things like this. I would love to get more info about this. I live in Ohio and I would love to open up a microbrewery in my area. is there any info. You can send out on all the incubators out there or any in Texas? The world’s first Brewery Incubator and the only one to become operational thus far was opened in Houston, Texas in 2013. This has served as inspiration and as a model for the ones currently in the works. I’ve received many inquiries on the model and am available for advisory on new incubator projects. Skeleton Key is opening September 24, 2016 in the western suburbs of Chicago. My sub-division is right across the street from where they are opening, very excited to check this place out. I gave them some money to get on their members list, can’t wait to start trying out some great brews! !